Pastor Amon Manase Kinyunyu, whose picture appears below, has been elected the new Bishop of Dodoma Diocese of the Evangelical Lutheran Church in Tanzania. Dodoma Diocese held a General Assembly on May 3, 2012, which elected Rev. Kinyunyu to become Bishop, taking over from Bishop Festo Ngowo who fell ill while in office. During the same meeting Rev. Samweli Mshana was elected Assistant to the Bishop. Rev. Kinyunyu, born 26 Apri 1956 in what was then Njombe District in Iringa, has studied at Mwika Bible School, received a Certificate at the then Makumira Theological College and was awarded a Diploma in Church Leadership by the Mindolo Ecumenical Training College in Zambia. He worked in various parishes as pastor and District pastor in Dodoma Diocese. He was District pastor of Mpwapwa from 2009 to 2012. He is married with four children. Rev Samweli Mshana, who has been serving in Dodoma Diocese since January 1995, was born on 17 February 1962 at Ntenga Village, Same District, in Kilimanjaro Region. He holds a Masters in Public Administration from Dodoma University, a Bachelor of Divinity from Tumaini University Makumira and a Certificate in General Theology from the then Makumira Theological College in Arusha Region. He also got a Diploma in Education at Mkwawa Teachers College, Iringa, in May 1987 after completing Form six at the same school in 1986. He studied his O-Levels at Dodoma Secondary School. His work experience includes teaching at Ifunda Technical Secondary School July 1987 to May 1990. He was Pastor and assistant District Pastor Kondoa December 1995 to July 1997. 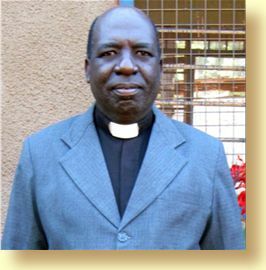 He was Headmaster Aya Secondary School 1997 to July 2008, and Christian Council of Tanzania Chaplain at the University of Dodoma July 2008 to November 2010. He is also married with four Children.